Owl City is an American electropop musical project by Adam Young. Young started out making music in 2007 in his basement in his hometown of Owatonna, Minnesota, United States, later developing a following through his MySpace profile before being signed to Universal Republic. Owl City released Ocean Eyes on iTunes July 14, 2009, with the physical release following on July 28, 2009. His best known track is 2009's "Fireflies", which in October 2009 hit #1 on the Billboard Hot 100 and #1 in the UK Top 40 on January 24th 2010. Owl City is an American electropop musical project by Adam Young. Young started out making music in 2007 in his basement in his hometown of Owatonna, Minnesota, United States, later developing a following through his MySpace profile before being signed to Universal Republic. Owl City released Ocean Eyes on iTunes July 14, 2009, with the physical release following on July 28, 2009. His best known track is 2009's "Fireflies", which in October 2009 hit #1 on the Billboard Hot 100 and #1 in the UK Top 40 on January 24th 2010. The second single from "Ocean Eyes", "Vanilla Twilight" was released in January 2010, and has since peaked at 72 on the Billboard Hot 100. Owl City has released the EP "Of June" in 2007; the album "Maybe I'm Dreaming" 2008; and in 2009, the album "Ocean Eyes" was released. Young maintains three side projects, Swimming With Dolphins, Sky Sailing and Port Blue. 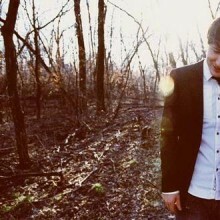 Dear venerators if you are reading this, you clicked on the page of the recording artist owl city in our eLyricsWorld. Our database has data about 52389 artists throughout the world also 829824 songs 164 of which are from owl city. Besides the the biography of the artist, on this page you can see short piece of information about them, enlists date of birth, genre, record label Be aware all the events with owl city by adding RSS feed. If you prefer you could directly visit the address you are on currently and check out news and latest songs about the singer.